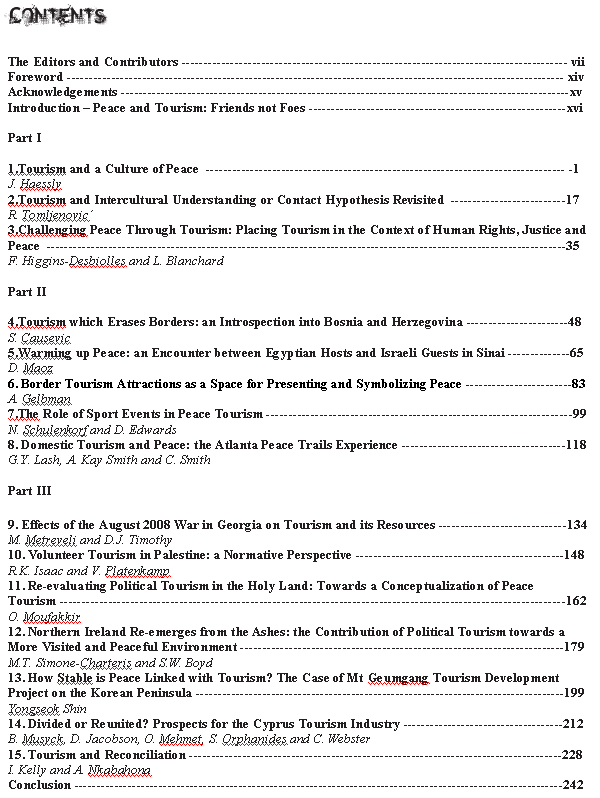 Tourism, progress, and peace / edited by Omar Moufakkir. 1. Tourism. 2. Tourism–Social aspects. I. Moufakkir, Omar. II. Title. Typeset by Columns Design, Reading. Printed and bound in the UK by the MPG Books Group, Bodmin.